Garden Classics - Outdoor Living at its best. Garden Classics Pavers are a range of natural colours providing a versatile way to bring your indoors outside. We have a variety of loyal clients ranging from Landscape Professionals, Property developers and the general public. We pride ourselves on great customer service and satisfaction. Garden Classics textured pavers have grip like surface, making them perfect for pool and spa surrounds or wherever a low-slip surface is needed. Classic and contemporary colours, Garden Classics pavers are available in the following shades to complement your landscaping design. We are happy to custom-make colours and sizes to order. Out team will help you with colour samples to help you to create your perfect outdoor area. We recommend that you purchase pavers from the same batch - as minor colour variations do occur due to the nature of the natural materials used. 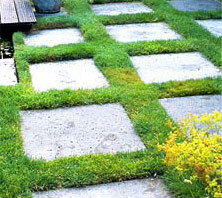 Pavers may also display a whitening effect known as 'efflorescence'. This is a characteristic of many natural products and does diminish over time. Whilst every care has been taken to obtain an accurate representation, the colours shown here are subject to the limitations of the colour reproduction process. 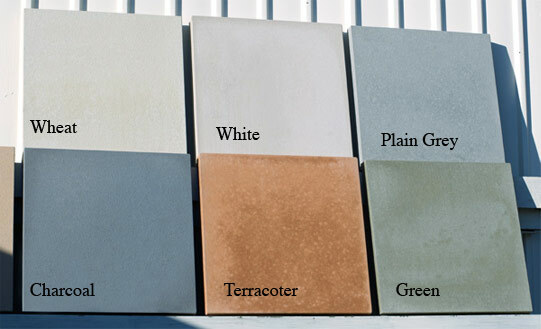 Visit Garden Classics to view samples prior to ordering. Garden Classics Pavers standard size make them more economical and faster to lay, requiring only four pavers per square metre. Their size and variety of styles make them the ideal way to create a clean, spacious, designer feel to patios, gardens and paths. Used in conjunction with other Garden Classics landscaping products such as water features, pots and out new scandinavian outdoor furniture range, you can dramatically transform your outdoor areas into a stunning space for relaxation and entertainment. 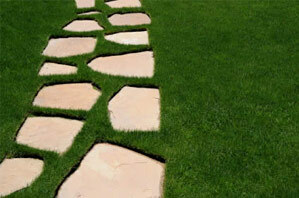 All Garden Classics pavers are delivered unsealed; it is the responsibility of the installer to provide sealing. Due to the larger format of Garden Classics Pavers, a rubber mallet should be used for compacting rather than a mechanical compactor. Use of an appropriate surface sealer after installation will assist in durability and ease of cleaning.